The Wall! Huh! Good Gods, Y’all, What Is It Good For? At the northern reaches of the Seven Kingdoms, rising 700 feet and stretching nearly from coast to coast lies the Wall. I’ll be touching on topics regarding this glacial wonder of Westeros, from the first three seasons of HBO’s excellent Game of Thrones. This won’t be crazy crazy spoilery, since I’ll be mostly talking about a large chunk of ice, but there will be some incidental references to the plot as presented from the television show (nothing from the books that hasn’t happened yet), so if you aren’t caught up on the story currently on HBO, don’t risk it. Why am I talking about the Wall, when I can be writing something about Sansa or how Cersei is just the best? Well, a buddy of mine has not read the books and he’s been thinking a lot about the Wall, the Wildlings, and how little he knows about either. I thought I’d share some of his assumptions and questions, as well as some of my own thoughts. The television series doesn’t give a great deal of detail and really neither do the books. The Wall in some ways simply is. It’s huge. Based on its size, regularity, and position, it appears to be man-made (or at least intelligently designed.) It has to be in some ways magical. Any collection of ice that large would flow like a glacier in *some* direction. It would make permanent structures next the Wall very non-permanent. Since the Wall seems pretty stable, I’m guessing there’s something supernatural keeping it static. It functions as an obstacle for the Wildling population who live in the harsh lands beyond the Wall. So, is the Wall just part of the North’s restrictive immigration policy? Keeping out the uncouth Wildlings? Did the Wildlings in ages past just watch as the builders built the Wall to keep them out, and were too slow to pack and move south? There have been similar fortifications in the real world, but not on this scale and usually with an alternative purpose. Hadrian’s Wall in Britain was an obstacle for the raiding Picts but it was also a deliberate symbol of Roman power (and an expensive one, since a bunch of forts would have served a similar purpose.) The Great Wall of China might have kept out roving bands of troublesome barbarians but it also served administrative and trade purposes. The Wall just seems to be there. Something to climb, if you’re Tormund and his men, or something to be afraid to look upon, if you’re one of Craster’s unlucky wives. The Wildlings appear to be from the same people and culture of those who built the Wall. 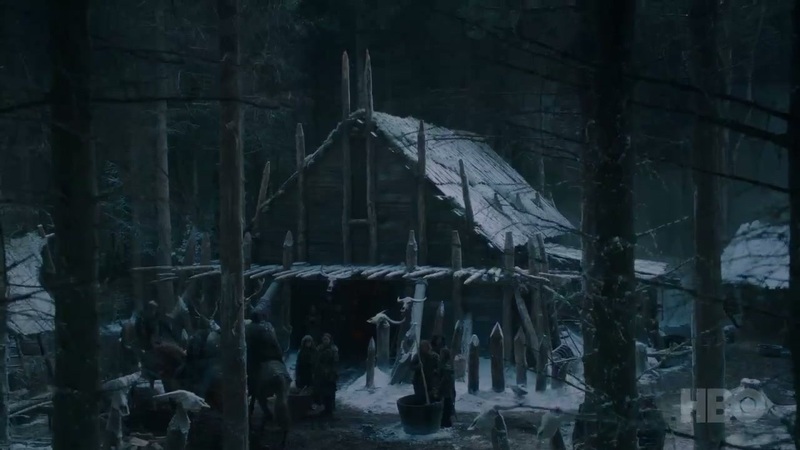 Before the Andals came to Westeros with the Seven Gods, the First Men in the North were worshipping the weirwood trees and as Ygritte told Jon, the Wildlings are descended from the First Men, as are most of the people loyal to the Starks who govern the northernmost of the Seven Kingdoms. It seems unlikely that the Wall was built just to keep them out. The Night’s Watch who man and maintain the Wall also seem too specialized for just anti-barbarian duty. It seems a bit overkill to have a monastic brotherhood to do border patrol. That’s a really big individual commitment if the threat is just some smelly raiders. But we know that’s just not all beyond the Wall. North of the Wall, there are the Wildlings. And there are the Others. I love the term “Other” and I’m just going to keep on using it. The Others are apparently just starting to become active during the time period of the show (or for some short period of years before, long enough for Mance Rayder to start uniting the various Wildling clans to head south.) I could be wrong about how long they’d been active, but if they’d only recently awakened from their chilly beds then that’s too soon for Mance to get motivated to unite the tribes and head south. And if the Others had been active for much longer, there’d be no Wildlings trying to move south. Well, there’d be no living Wildlings trying to move south. The Others’ past invasion (or invasions) of the southern lands took place during a time of legends, my assumption is that the Wall had been built in reaction after the Others had been sent packing, and had been in existence during a later time of Other aggression. 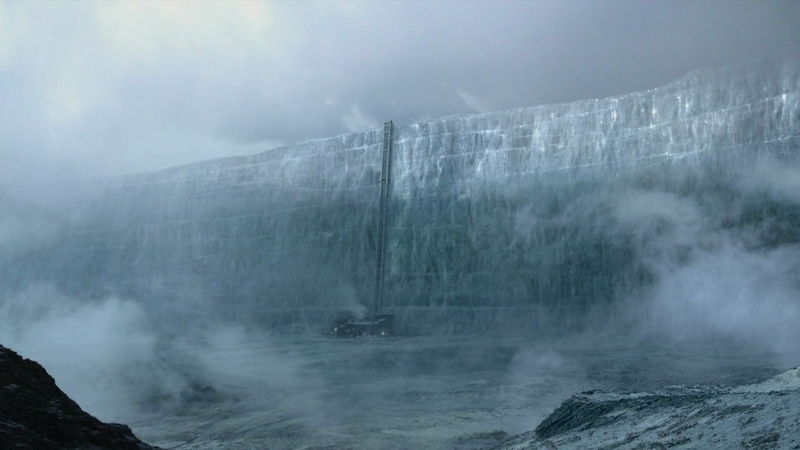 I don’t have any hard evidence from the show about this but my gut says there must have been a time when the Wall was manned by the Night’s Watch and the Horror Borealis was fully active and heading south. I don’t think it’s a wild assumption that if such a time happened with the Wall in place and the northern forests filled with the walking dead and the Others, that this would wreak havoc with any significant population of humans trying to live there. Why are there Wildlings north of the Wall if it’s so dangerous and inhospitable? Given that the last Other invasion happened during a legendary time, the current Wildlings are probably descendants of people from the lands of the Seven Kingdoms who moved north after the last Other invasion and went beyond the Wall. I’m sure they had their reasons. South of the Wall, the lands are carved up and distributed to lords, who own everything. Owning the means of production separates the proletariat from the bougeosie (if I can get all Karl Marx on you, yo.) The smallfolk kneel to the highborn who have everything. But there’s freedom in the far North. Craster’s Resort and Spa. No Touching, Pinching, Staring, or Talking. No Eating. Sometimes Stabbing Happens. It’s a tough freedom and not everyone is so free. I already mentioned Craster’s wives, but from our limited exposure to the Wildlings in the television show, he seems to be more of an outlier than representative of the average Wildling demographic. In general, there doesn’t seem to be a strict feudal overlordship. Lets say there’s a libertarian vibe to them. There’s also a chaotic, anarchical vibe. The Wildlings have tried to expand south in the past, according to Jon Snow. They’ve failed because they are undisciplined. They’ve also failed because they don’t remember these past defeats and so can’t learn from them. Things might be different now that a king has united the various tribal units and families into a common goal of moving south, apparently as a response to the supernatural menace of the Others. 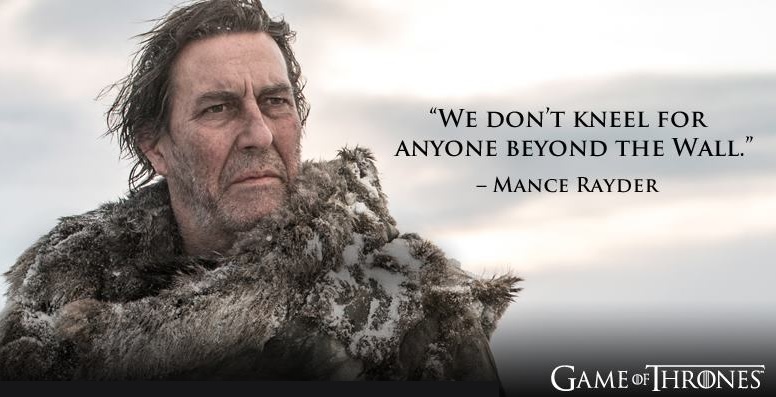 Mance Rayder is a different kind of Wildling king, in that he was once a member of the Night’s Watch. He knows the weakness of the Wildling nature, how that’s exploited by the Night’s Watch, and how the Watch is weak in return. Now, my buddy is not convinced that the Wildlings migrated from the south after the Wall was built. It’s fair to be skeptical. There could have been populations of humans living in the North before the Wall went up, it just seems that they’d have to establish themselves during a time of peace (in regards to threats from the Others.) And if there has been an Other resurgence during the time of the Wall, those humans would have to have found a way to survive until the Others went into hibernation. We know that there are humanoids in the North that apparently have done just that. Giants. Jon Hopes that Giant is Jolly. 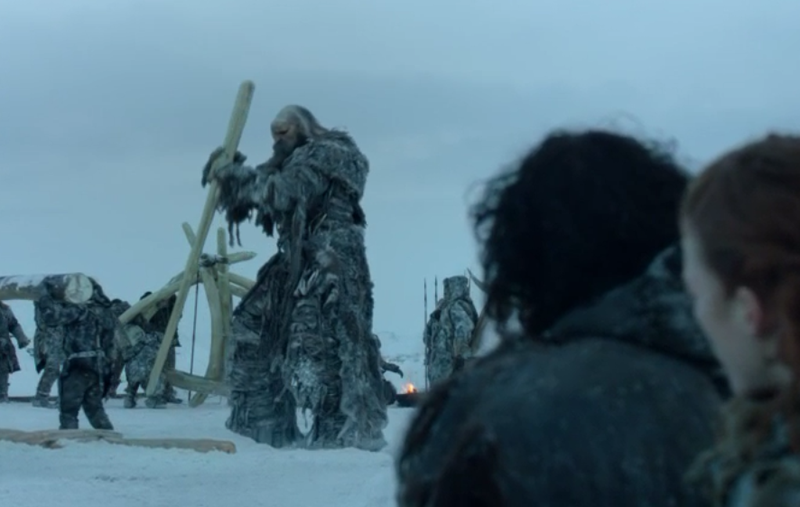 Part of the current Wildling migration being led by Mance Rayder includes these huge beings. From Jon Snow’s time with the Wildlings in the books, the giants spoke an old language that pre-dated the First Men. (I might have my details wrong, scholars, feel free to correct me.) It seems reasonable that the giants have dwelt in the far north before the Wall’s creation, and have remained there during its existence. 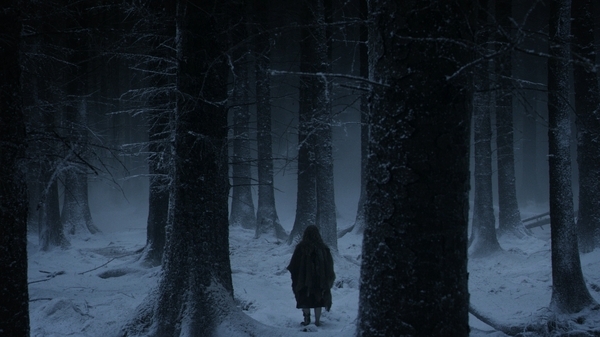 If a race of giants could hide from the Others, Wildlings might be able to as well. 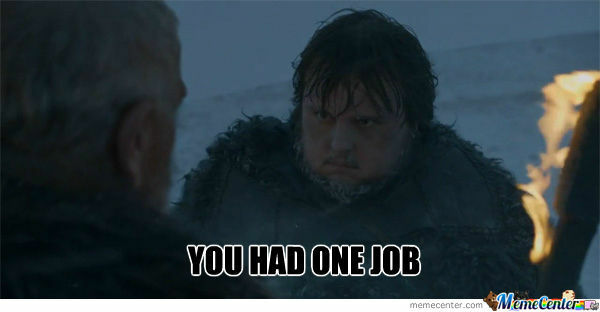 So, if the Wall was built to stop the Others, and the Night’s Watch men are there to fight that fight, why are they harassing the Free Folk? Is this just a case of The Man keeping the Little Guy Down? It’s been centuries, possibly millennia, since the last attack by the Others. But the Wildlings are raiding all the time. It’s hard to blame them, there’s not much available up north in the way of manufactured goods. Or women. We can’t overlook that the raids often are for procuring women. So I don’t necessarily blame the Wildlings, but I don’t excuse it either. Even though the Night’s Watch are on the Wall in response to the threat from the Others, they have a responsibility to curtail Wildling raids. 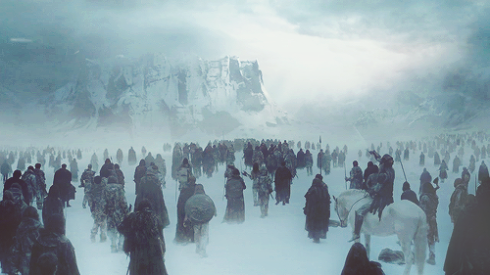 When a raid happens, rangers are sent out to track the Wildlings. Presumably to punish (i.e. kill) them. Presumably to rescue any abductees. Ygritte in her conversations with Jon Snow seems to sum up the Wildling opinion of the Night’s Watch, or “Crows”, and the Wildling opinion of the south in general. She’s So Cute. And Threatening. She’s Always Threatening. The Crows are murderers, coming north into Wildling lands to hunt down people who are just doing things to survive. The fact that Crow reprisals are in reaction to raids seems lost on or unimportant to Ygritte, since if the southerners who get attacked were stronger, they’d have nothing to worry about. Nice job blaming the victim, Ygritte. But the Wildlings in a larger sense do serve a purpose. If the Wildlings did not raid, the Night’s Watch would have even less of a purpose during the long Other hibernation. As a practical matter, the Wall has ended up being something of a French Foreign Legion analog, or a prison. If there were no threats, there would be less support entirely. It might be entirely abandoned. Of course, if there were no threats of raids, there would be more of a population in the lands directly south of the Wall, which supports the Night’s Watch. 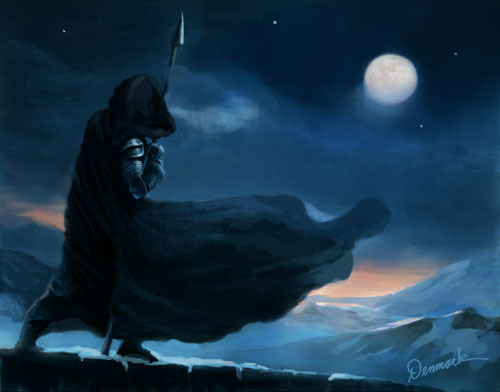 It’s possible that the Night’s Watch would have then been more vibrant in an administrative function of these inhabited lands. But either way, there’d be less of the notion of the Night’s Watch being a fighting force protecting the northern border. And that could only help the Others. But at their worst, the Night’s Watch at least serve to be a witness to things happening in the North. Live or die, if a message has been sent south when the Others march, they’ve done their job. Their most important job. My friend was wondering how effective the Wall would be against the Others, who seem unaffected by cold, seem to bring the cold, and can shatter steel with their frozen touch. Would a wall of ice really stop them? 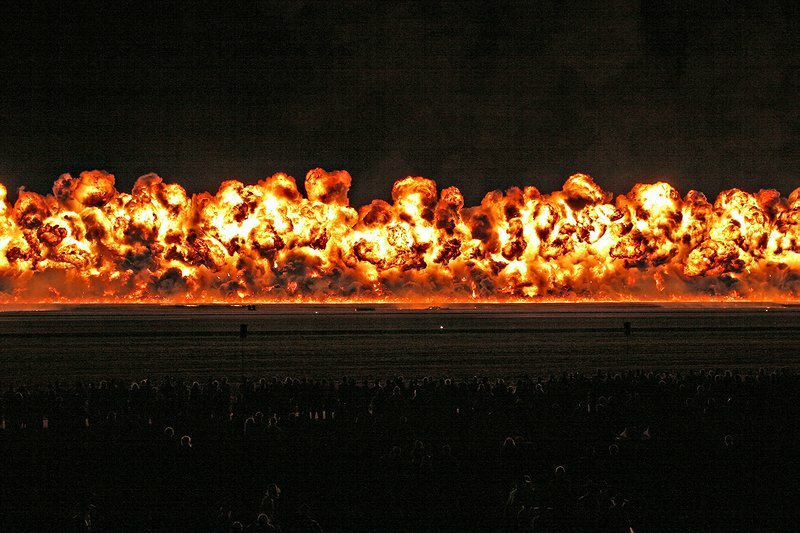 Wouldn’t a wall of FIRE be a lot better? I guess. I mean, it’s a good point. But the Wall seems pretty significant. I couldn’t say for sure if the Others couldn’t magically walk through the ice, but I’d have to see that happen before I’d assume that it was likely. But, as a practical matter, I can imagine a wall of ice being built. I agree that something other-than-natural is at work, since the size of the Wall would cause issues. But I can’t imagine creating a self-sustaining wall of fire that lasts thousands of years. Magic in the Game of Thrones world isn’t High Fantasy Magic. We’ve seen fire. It burns and eventually it goes out. Unless there’s a whole lot of firewood. *Ultima Thule: A fancy way of saying “Beyond the Edge of the Map.” More or less. Excellent. Your best blather so far. I think the North (Wildlings, Others) are symbolic of America (young revolutionary Free Folk) “breaking away” or fighting the status quo of traditional Europe (Royalty, Feudalism). The Wall should receive the Westeros Peace Prize. It maintains some semblance of order. Plus it gives young derelicts something to do with their lives. It will eventually make a Hero of Sam Tidwell (Iron Book Prediction). Anytime you give “air time” to my man Craster I’m happy. Thanks Man! Always good hearing from a Game of Thrones expert.